The Carse of Gowrie Sustainability Group welcomes you to the eastern entrance for the Patrick Matthew Memorial Trail. The permission for positioning this QR code and stake here has been kindly given by the James Hutton Institute, with a view to give, well, a great view of the ‘new’ Tay Rail Bridge. This part of the trail includes input from the school children from Invergowrie Primary School. The first Tay Rail bridge, designed by Thomas Bouch, was opened by Queen Victoria, on the 1st June 1878, as the longest bridge in the world, and Bouch was knighted in recognition of his achievement (Undiscovered Scotland, 2017). Three days after Christmas day, on 28th December 1869, Matthew sat down at his desk in Gourdiehill House, near Grange in the Carse of Gowrie, and penned a most chilling letter of warning to his local newspaper, the Dundee Advertiser, to alert everyone that he had quite reasonably foreseen that if it were to be built, the Tay Railway Bridge to Dundee would collapse into the estuary (See Sutton, 2017). He believed the engineering could not support the two-mile bridge span, and advocated for a cheaper and safer bridge to be built further up the estuary using Mugdrum Island to span the crossing. He was ridiculed by locals who called him ‘the seer [having the second sight] of Gourdiehill’, and the editor of the Dundee Advertiser mocked Matthew as a crank on the grounds that his list of potential dangers could be matched with something similar to dissuade a person from walking along a street. A crank he was not, even though, by now 79 years old he referred to himself as a "crotchety old man, his head stuffed with old world notions, quite obsolete in the present age of progress" (Pinsdork, 1997:494). Matthew’s predications of the Tay Rail Bridge disaster were never heeded and on the fateful night of 28 December 1879, five years after Mathew’s death, and 10 years to the very day he penned his chilling ‘demon eels’ warning letter there was a terrific nationwide storm. At 7.15 pm on that raging night, the central navigation spans of the Tay Bridge collapsed into the Firth of Tay at Dundee. With the bridge went the train and 6 carriages. 75 people fell to their death. There were no survivors. Photograph 2: Victorian Calendar, 2011. 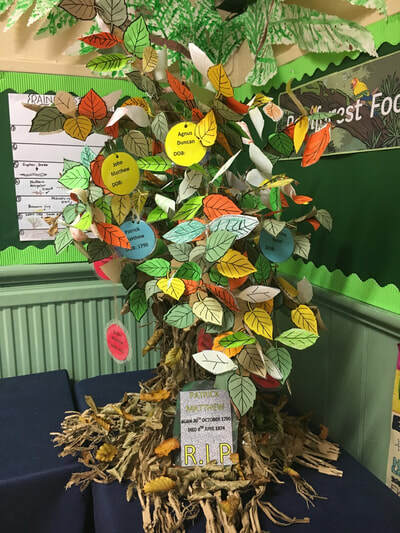 The Junior Carsonians, the junior division of the Carse of Gowrie Sustainability Group, pupils of the six Carse of Gowrie Primary Schools, have been collaborating with this memorial project. 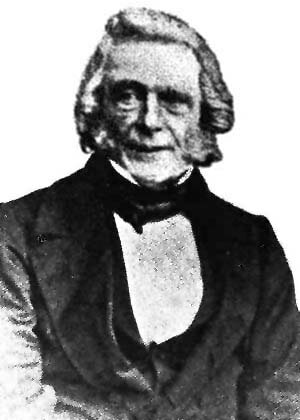 The schools collectively started researching Patrick Matthew life and legacy in 2015, and were excited to create a unique exhibition for the Patrick Matthew Memorial Project at Errol Village Hall (Fig 2.). Figure 1: Artwork by the JC’s. 2017. Patrick Matthew Memorial Weekend Logo (left) and the Matthew Family Tree sculpture by Abernyte Primary School. Invergowrie Primary school took on the task of exploring the Tay Rail Bridge Disaster, which Matthew had predicted. (Figure 2). Costing £300,00 (approx.. £16 million today). Did the train go back to service? Yes, the engine did, after being repaired it remained in service until 1919. Fig 1. Artwork by the JC’s. 2017. 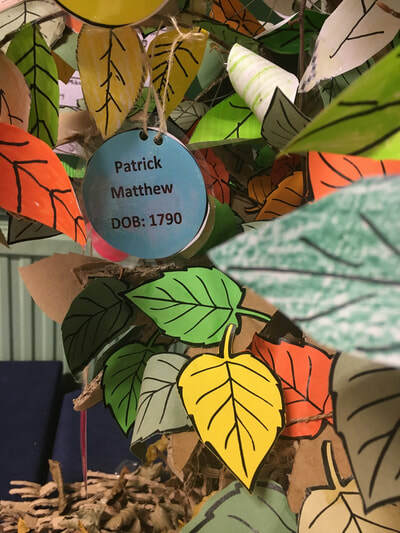 Patrick Matthew Memorial Weekend Logo (left) and the Matthew Family Tree sculpture by Abernyte Primary School.